Hey everyone! I hope you all are having a great week! I'm really excited for the holiday weekend. 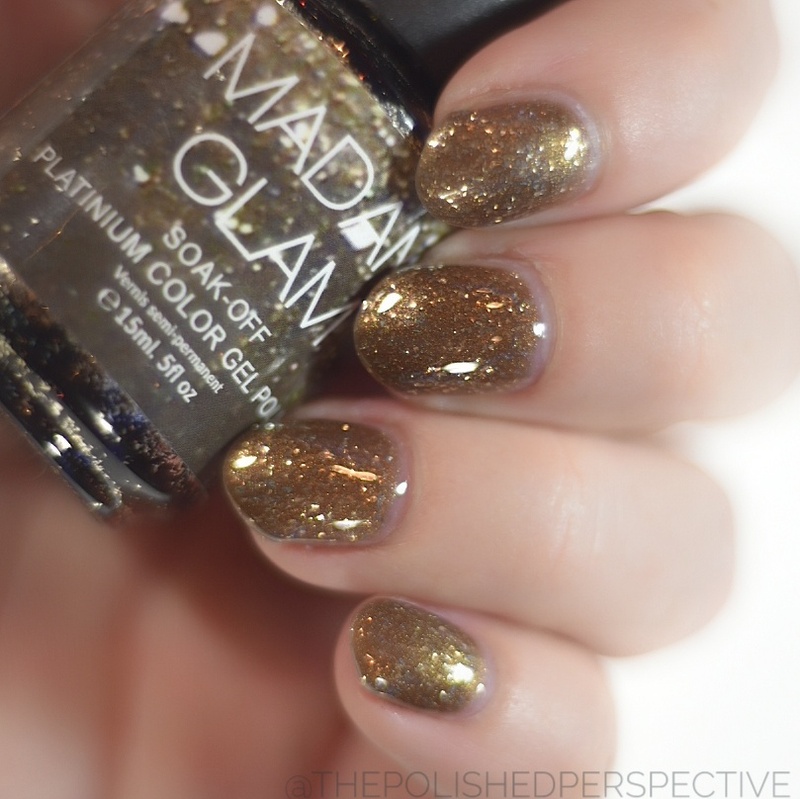 Today, I have Madam Glam's Platinum gel collection to show you all. 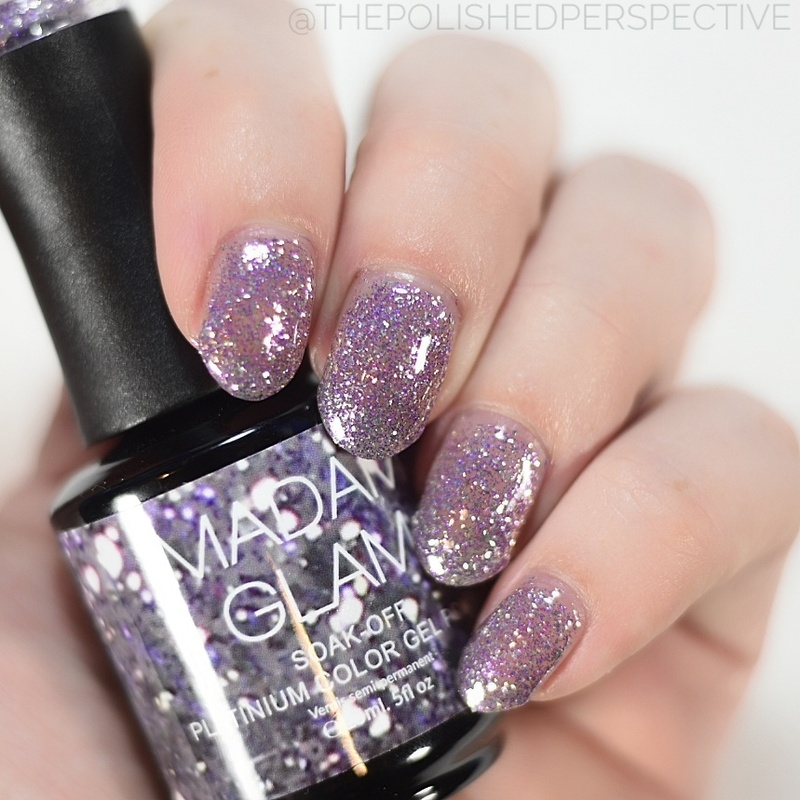 These are packed with glitters and look like a party on the nail. Some are more opaque than others. Let's take a look. The base is clear on this one and I built it up in three thin coats. This one would also look really pretty over an orchid metallic base. This one is very opaque. 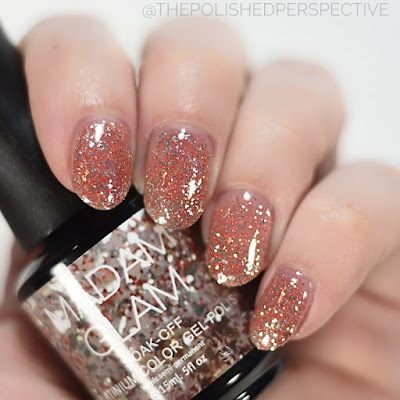 My swatch is shown in three coats, but it looked good in just two. 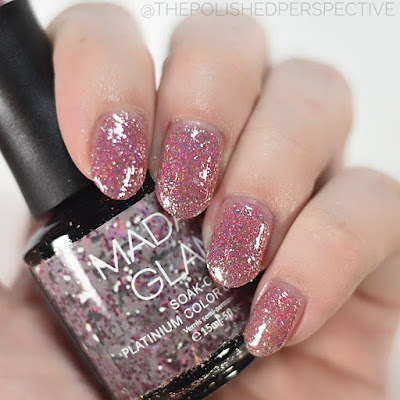 Light purple leaning pink with silver glitters. This is one that has more of a clear base. My swatch is shown in three coats. However, I think this would also look great over a similar base color. This one is also in a clear base and I built it up in three coats. 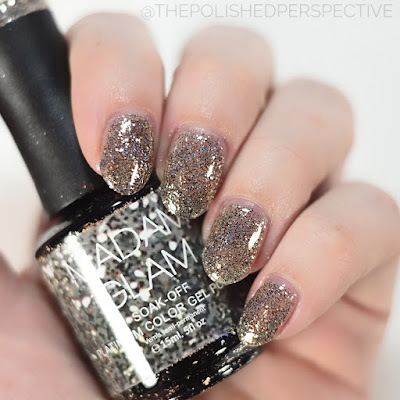 Love this combination of glitters! 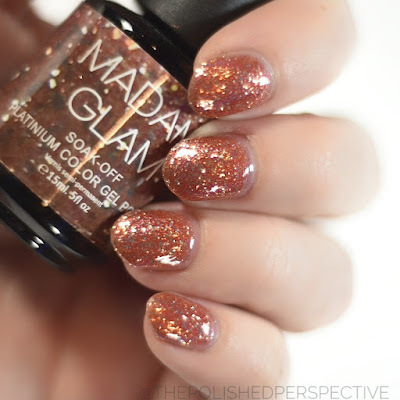 Cinnamon brown with silver glitters. This one is my favorite! This one built up in two coats; however, my swatch is shown in three. The base is more tinted than the others and I just overall love this one! The base is clear and the glitters aren't as dense as the other gels in this collection. I think this would look awesome over a chrome gel. Overall, I really like these. They're different from any other gels I own. Have you tried any from this collection? The Madam Glam Platinum Collection can be found at MadamGlam.com. They are always having amazing sales, but you can also use my code TPP30 for 30% off. Type in Madam Glam in my search bar and take a look at all my other Madam Glam swatches!